The gas-fired boiler diffuses gentle regular heat throughout your house; the hot water that it produce is available instantly and constantly. Annual maintenance of your installed gas-fired boiler is fast and inexpensive. Connected to the gas mains, the mains gas-fired/natural gas boiler works by gas combustion that heats water that is distributed through your home by pipes to radiators or floor heating. Connected to the gas mains, installing a modern gas-fired boiler involves a reasonable investment at the start and may be eligible for a tax credit of up to 30% thanks to the condensing system. Thanks to its low energy consumption, installing a gas boiler is compatible with the energy requirements of RT 2012 thermic regulations (low consumption building). Combined with renewable energy systems (solar for example), the gas boiler provides you with better performance. 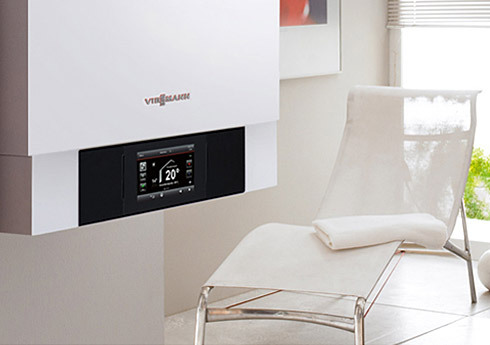 Annual maintenance of a gas boiler is generally fast and inexpensive, from €129. Calling on a Qualigas-approved profesional like Clim Var Froid guarantees you top performance of your installation over the years: soot blowing, cleaning and checking for worn parts are all things that a gas professional should carry out every year. Experiencing a break-down? Clim Var Froid intervenes fast to maintain the comfort of your living environnement.